Hallmark Channel "The Heart of TV"
Today, I thought I would share with you that the Hallmark Channel is premiering a new Logo Tagline. The new phrase is: "The Heart of TV!" 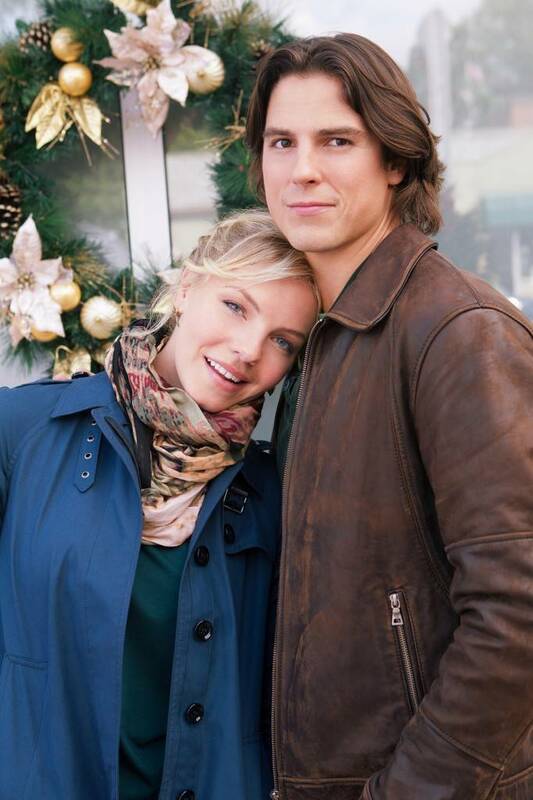 The Hallmark Channel certainly has been "The Heart of TV" while airing some of the most family-friendly programming found on TV, today! I sure hope they continue to do so... as so many families depend on their wholesome movies and dramas. It's a perfect phrase to accompany their logo since so many Hallmark Movies do touch our Hearts! 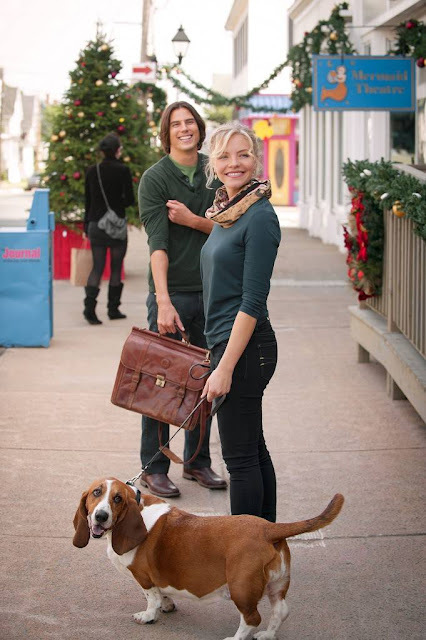 According to a Hallmark press release, "The tagline, “The Heart of TV”, celebrates Hallmark Channel’s core values and reinforces the network’s position as a leading destination for life-affirming, celebratory, and quality programming that families come together to watch again and again." Also the logo will take on new looks and colors depending on the Holiday! Hope you all enjoy many new Heartfelt Movies and Moments! 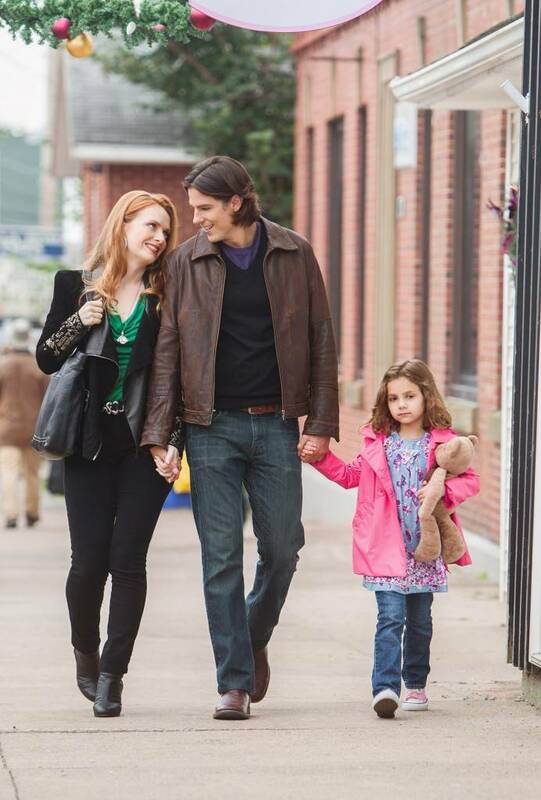 Visit the Family TV Schedule to see upcoming Hallmark Channel Movies! 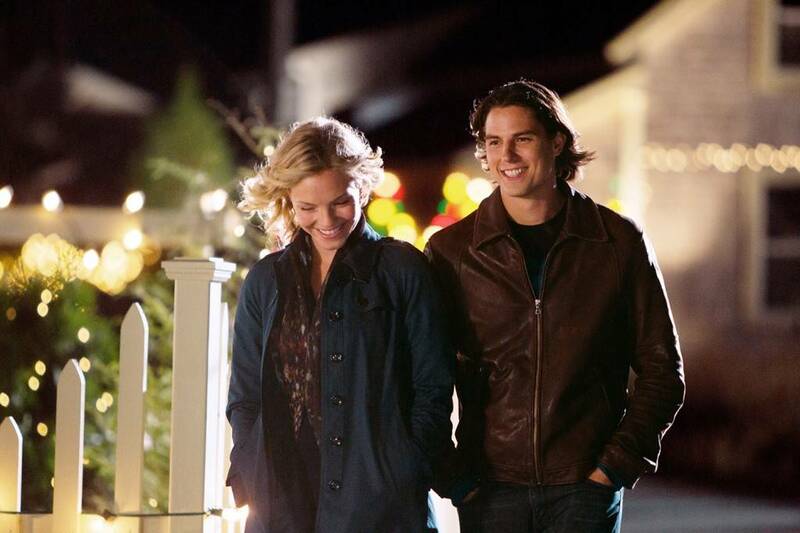 The Hallmark MOVIE Channel will be premiering their newest movie, Strawberry Summer, this weekend. This looks to be a "near-the-end-of-summer" sweet family-flick! The GMC Network, in the meantime, is premiering a more serious looking drama, titled: Somebody’s Child. Please note: I have not seen either movie – so please check movie previews or ratings before viewing with children. * Visit the Strawberry Summer Page for more Movie Details! * Visit the Somebody’s Child Page for more Movie Details! When a pair of feuding colleagues are thrown together after their siblings fall in love and merge their two families, they have to learn to get along in time for their nephew’s birth on Christmas Eve. Realizing their family has major money trouble, they come together to help and end up on a snowy New York adventure that will prove miracles really do happen at Christmas. 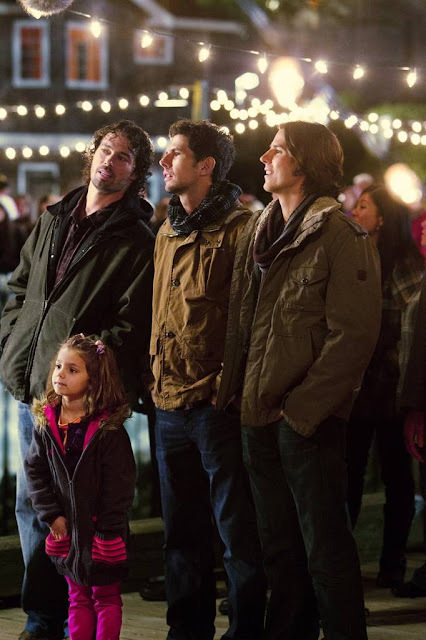 "Trading Christmas" on DVD + More Releases! 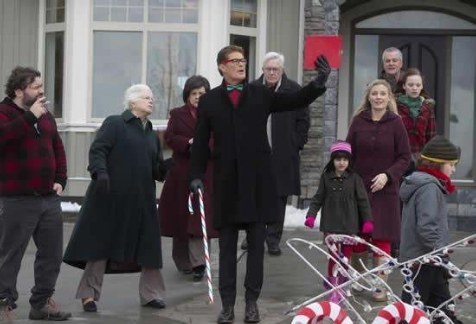 Trading Christmas was the overall Fan-Favorite "New Christmas Movie" last year on the Hallmark Channel, according to the Poll taken here after Christmas! 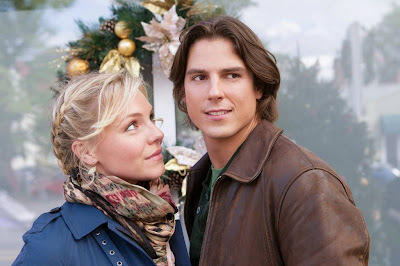 I think we all fell in love with this romantic comedy - where two people change places for Christmas and unexpectedly find themselves and love in the process! And now, this movie is available on DVD! See it, here. 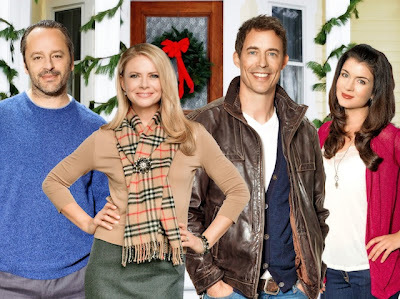 Trading Christmas stars:Gil Bellows, Faith Ford, Tom Cavanagh, and Gabrielle Miller. Along with Trading Christmas, other new releases are: (one of my favorites) A Princess for Christmas, Lucky Christmas, 12 Dogs of Christmas: Great Puppy Rescue, and More - See them ALL Here! Disney's "The Odd Life of Timothy Green" traumatizes two Young Boys! If you have watched any TV in say, the last three weeks, then you must have seen the previews to Disney's latest film, "The Odd Life of Timothy Green". It's the one where the little boy suddenly appears saying, "I'm Timothy... I came from the garden!" Well... if you don't want any SPOILERS for this film - PLEASE DO NOT READ ANY FURTHER. However, if you are reading on - please know You Were Warned. Apparently, after seeing the Movie, which is rated “G”, two young boys were so terribly upset – that even when they were in the car going home – they were both crying uncontrollably. Their parents recorded them in the back seat – while the boys tried to explain between crying why the movie upset them so much. I personally haven’t seen the movie, but these boys certainly did and their reaction is unforgettable! Disney has been known in the past to produce a few tear-jerking moments – Lion King, Up, and I’ll never forget Bambi’s Mother – still saddens me, today. I debated showing the video, because I don’t want to exploit these young boys, yet I’m fairly certain this is one of those videos that will definitely go viral and I felt you should all see their reaction (below)! According to what one of the boys says between sobs... Timothy Green ... well, there is no way to gently say this -he dies. One of the boys says “He has to go away.” In the story, from what I have read, Timothy has these leaves on him and when each lesson is taught or learned – he looses a leaf. Perhaps, (I am guessing here) when the last leaf goes... so does he! you can CLICK HERE and view it on You Tube. I have decided not to display it here - any longer. Whether it is True, Odd, or Authentic - it saddens me to see their heartbreaking reaction while the parents laugh at them. These boys needed to be comforted and held. Not only is this, apparently, a sad movie, but I have also heard that it is difficult for couples who are struggling with infertility... who can only dream of a child magically appearing. Has a movie ever affected you or your children in this way? 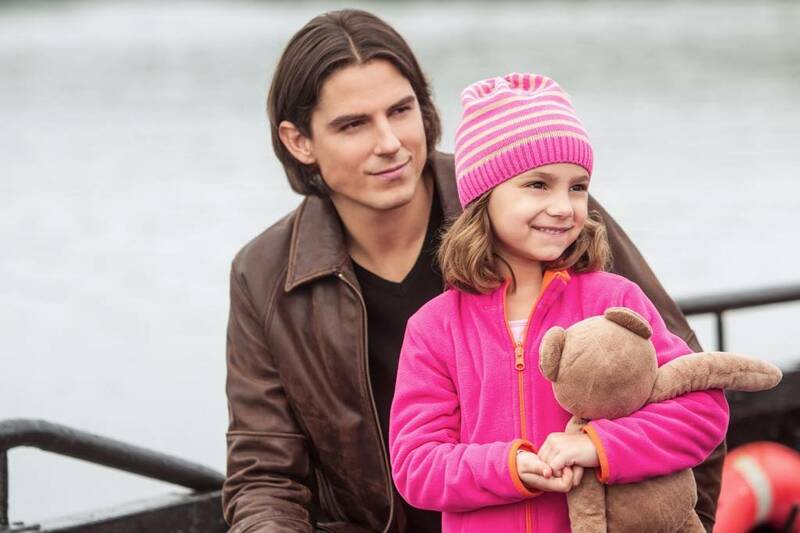 *Premieres August 18th on the Hallmark Channel! *See the Smart Cookies page for more Movie information. 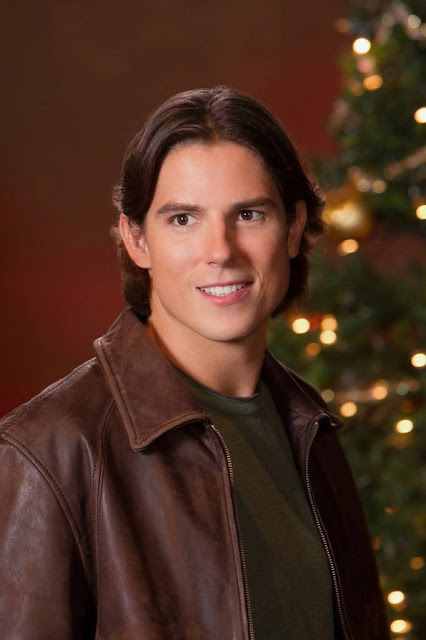 "Hallmark Hall of Fame" Christmas Movie News! ABC and Hallmark are currently working on the next Hallmark Hall of Fame Production. The title for the Movie is... (drum roll please) ... "Christmas with Holly!" 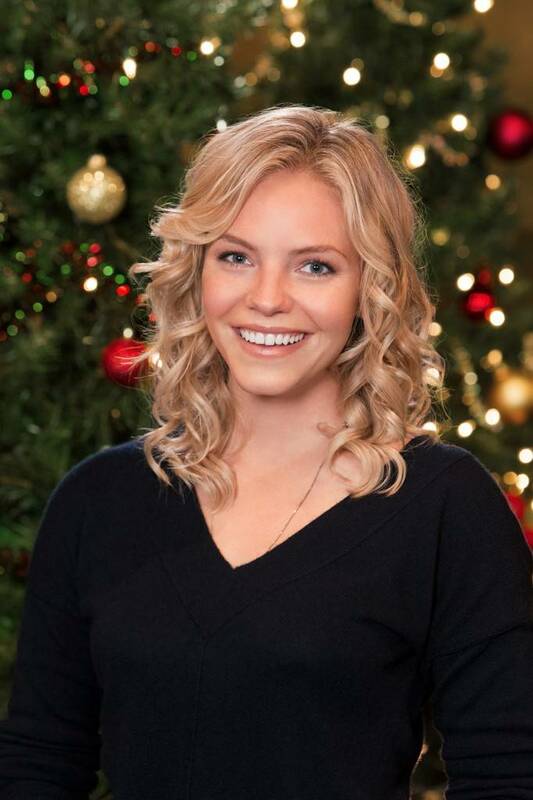 According to Seaandbescene.com, the cast will include: Eloise Mumford, Sean Faris (The Lost Valentine), Alex Paxton-Beesley, and twins - Lucy and Josie Gallina portraying one character, Holly! 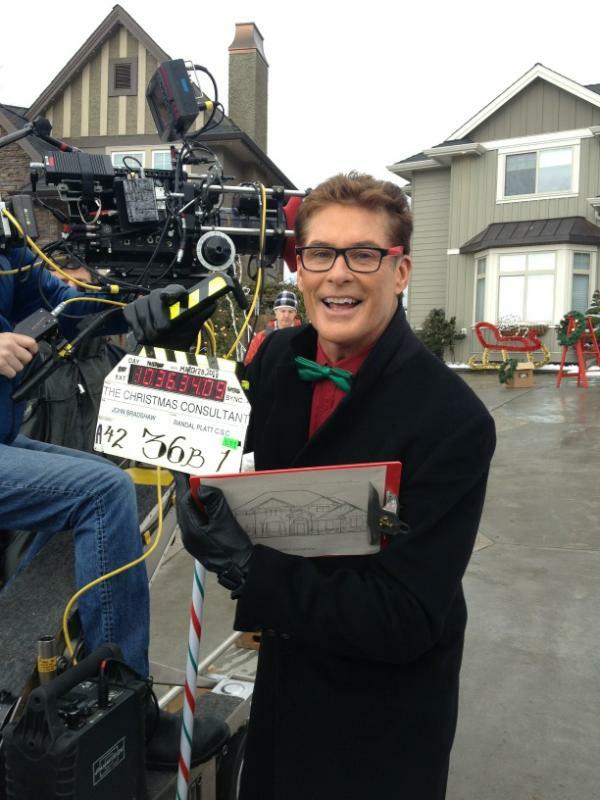 "Christmas with Holly" will air on your local ABC Station and the Hallmark Channel... sometime in December, 2012! See the "Christmas with Holly" Page for Plot details! Maggie Conway has HAD it with big-city living, especially after being left at the altar. She moves to the small town of Friday Harbor in Washington State, finally realizing her dream of opening a toy store -- and meets Mark Nagle, the proprietor of the local coffee shop. It’s not quite love at first sight. But almost! Mark’s number one priority, though, is his six-year-old niece, Holly, whose single mom has recently passed away and left him as her guardian. He’s moved in with his two brothers to help him raise Holly. He’s also involved romantically with Shelby – a relationship that’s going nowhere. 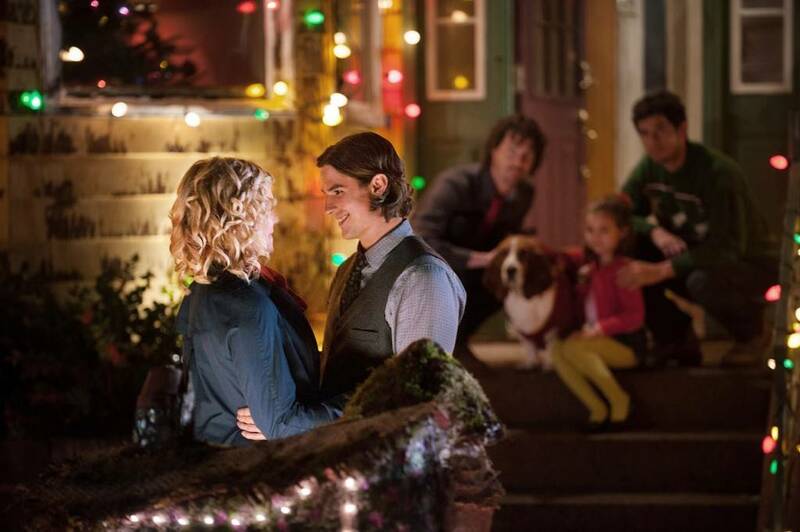 Maggie and her toy store prove to be the magical key to opening Holly’s heart after her loss. “I’ve been holding on to my old dreams. But I realize I need to make room for new ones.” So says Maggie Conway. She’s decided to move on in life after being left at the altar months earlier. The “Holly” in CHRISTMAS WITH HOLLY is six years old. Her single mom died a few months earlier. In accordance with her wishes, her 25-year-old brother Mark now has full responsibility for raising Holly. Mark – who runs the town’s coffee shop -- has help from his two older brothers. All three uncles have their hearts in the right place. But they’re charmingly inept in their new roles – and they’re not helped by the fact that Holly hasn’t uttered a word since her mom died. That’s where Maggie comes in. Despite the approach of the busy Christmas retail season, she gives extra attention to Holly every time the young girl comes into Maggie’s welcoming shop. Maggie assumes Mark is “spoken for” during the whole getting-to-know-you dance, because Mark is in a relationship with Shelby. But that relationship is floundering, and by Christmas Eve Mark and Maggie discover they’ve fallen in love. All three of them – Mark, Maggie, Holly – are starting to think of a life together as a loving family. Seaandbescene.com, for the plot and casting details above. 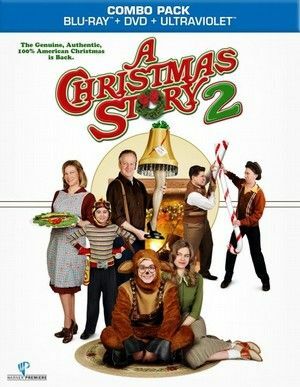 *Please Note: this is a sequel to the original Christmas Comedy, A Christmas Story. New actors have been casted to play the parts of the original characters. Years after realizing his childhood dream of getting a Red Ryder BB gun for Christmas, 16-year-old Ralphie (Braeden Lemasters) sets his bespectacled sights on a gift of the four-wheeled variety in this belated sequel to the Bob Clark's beloved 1983 classic A Christmas Story. As the snow begins to fall and the carolers start to sing, Ralphie dreams of waking up on Christmas morning to find the keys to a 1938 Hupmobile Skyline Convertible dangling from the tree, and embracing a whole new world of freedom as he cruises the streets of Hohman, Indiana in style. Daniel Stern is best known as Marv from "Home Alone". He is pictured here from the Hallmark Channel Movie, "Battle of the Bulbs". In "A Christmas Story 2", he will portray Ralphie's father. I was very disappointed in this movie. The language is beyond awful! The setting is old fashioned and looks neat but this is NOT a funny story or movie. The Christmas Consultant stars David Hasselhoff as a sought after consultant hired by a workaholic mother played by Caroline Rhea to get her and her family through the holidays. What she doesn't bargain for are his taking over her role as head of the household and when Christmas and family collide, she realizes hiring him was the best decision she has ever made. This review below was originally posted to be a part of TCM's "Summer under the Stars" event- which took place in August of 2012. During this event, TCM honored a different actor or actress by playing their movies all day! Irene Dunne was selected for August 24th, 2012 and as part of a special Blogathon by the web-sites, "ScribeHard on Film" and "Sittin on a Backyard Fence", to promote these films, I featured a Movie Review & Trailer (below) for the Irene Dunne Movie, Life with Father. Life with Father is available on DVD - click here! Stars: William Powell, Irene Dunne, and a young, Elizabeth Taylor. Life With Father was faithfully filmed by Warner Bros. in 1947. William Powell is a tower of comic strength as Clarence Day, the benevolent despot of his 1880s New York City household. Irene Dunne co-stars as Day's wife Vinnie, who outwardly has no more common sense than a butterfly but who is the real head of the household. The anecdotal story, encompassing such details as the eldest Day son's (James Lydon) romance with pretty out-of-towner Mary (Elizabeth Taylor), is tied together by Vinnie's tireless efforts to get her headstrong husband baptized, else he'll never be able to enter the Kingdom of God. Each scene is a little gem of comedy and pathos, as the formidable Mr. Day tries to bring a stern businesslike attitude to everyday household activities, including explaining the facts of life to his impressionable son. 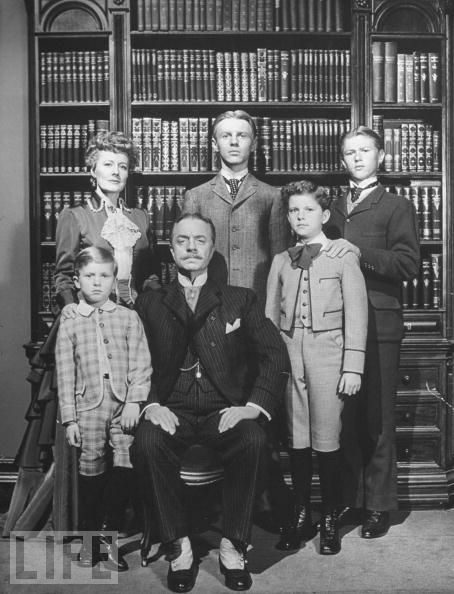 TCM describes this movie perfectly - It's about... "A straitlaced turn-of-the-century father who presides over a family of boys and the mother who really rules the roost." Everything about this family is fascinating and interesting. It's definitely a story of a family who is from a complete different generation from where families and children are today. There is an innocence to the young boys that is honest, believable, and refreshing! The mother, Vinnie, played by Irene Dunne, is devoted to her husband and protective and caring with her sons. She is concerned over all their faith and devotion to God, and she is the one, in spite of what the father may think, who makes everything run smoothly in their home. It is Vinnie's mission to have her husband baptized and we learn throughout the movie that she always finds a way to get things done. She's incredible! When the father, Clarence Day, (played by William Powell) thinks he may lose her, (due to illness), everything in life comes into perspective as he begins to appreciate his wife and family in a whole new way. It's deeply touching, comical, at times... and insightful into an era so bygone from today's world. After 5 minutes... you'll be sure to fall in love with the Day family and their every day life and family dramas. See! A wonderful family film for every generation!